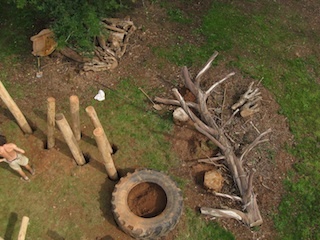 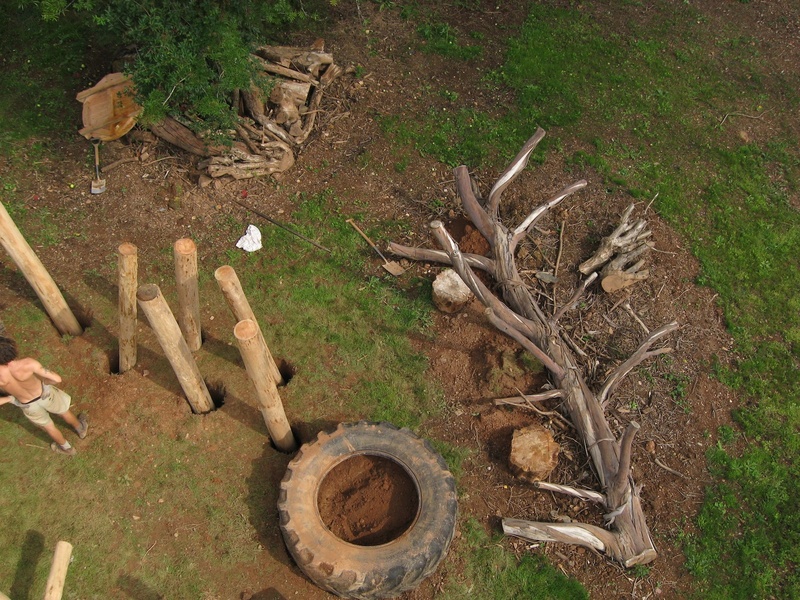 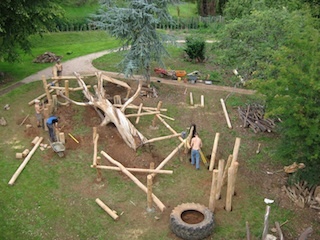 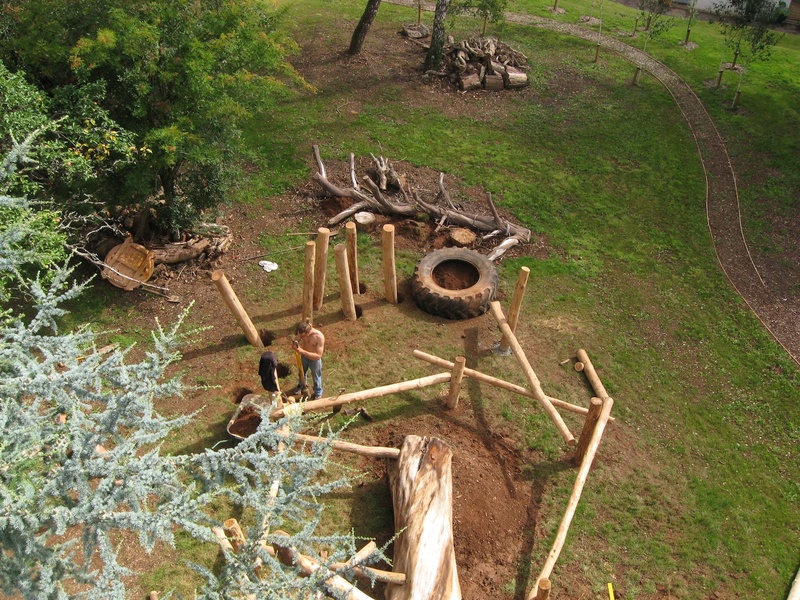 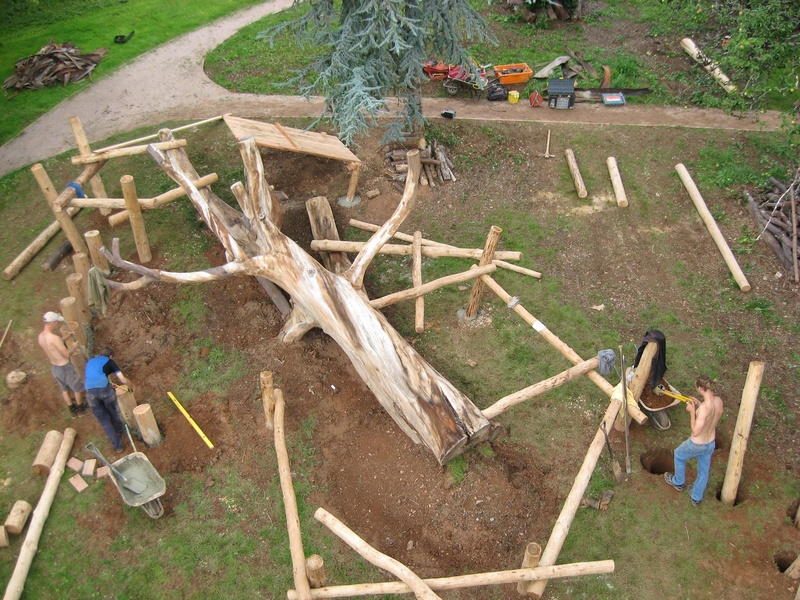 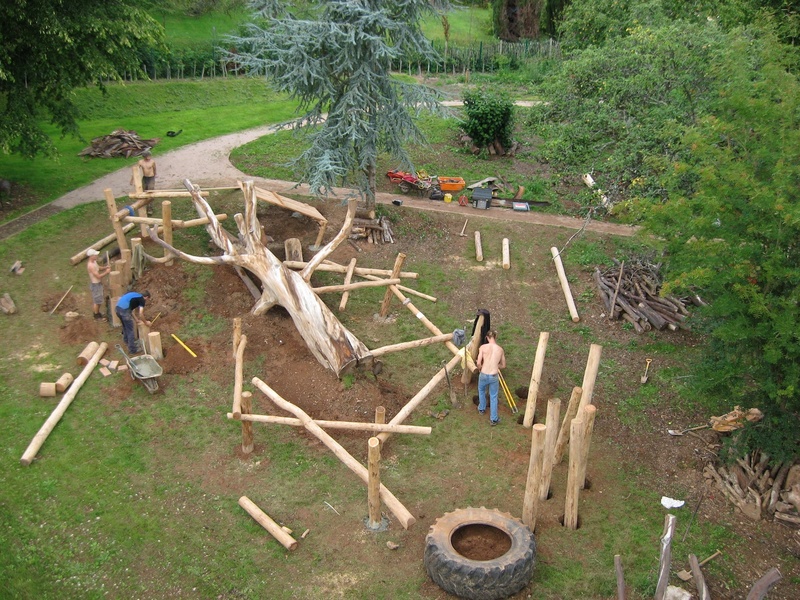 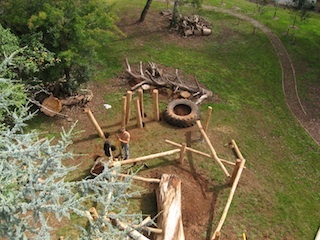 Below are pictures of Earth Wrights constructing the Play Structure, using the felled eucalypt as a base. 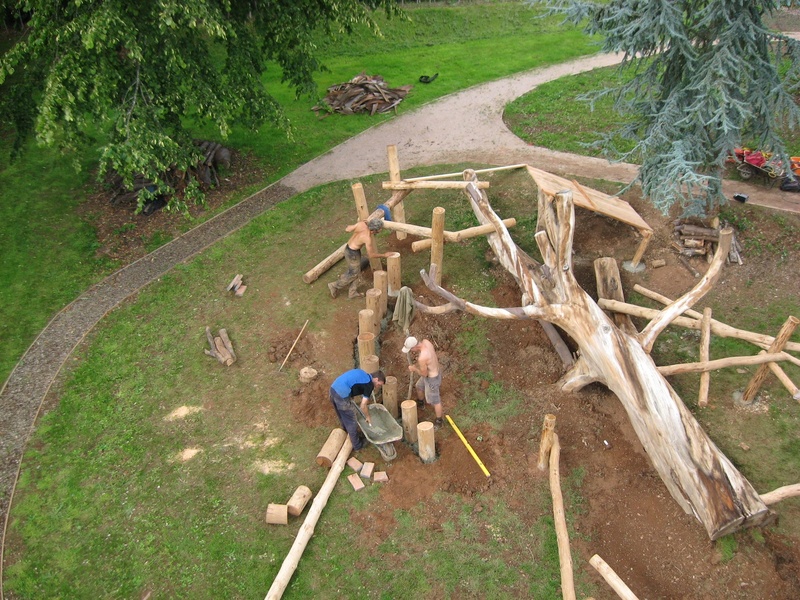 Work started on Monday August 9th. 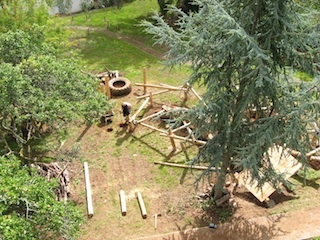 There are more pictures of later stages of the construction here.